If there is heav­en any­where on Earth, Ko Samui is the clos­est match to a par­adise on earth. Cov­ered exten­sive­ly by thick, dense forest­ed veg­e­ta­tion from all sides, this des­o­late and seclud­ed island almost appears to be cra­dled and nur­tured by Nature itself as it were its choic­est picks. Ko Samui is one of the many island loca­tions of Thai­land which are now see­ing increased atten­tion from for­eign­ers and real estate mag­nates as a prime des­ti­na­tion for invest­ment in lav­ish res­i­den­tial projects, as a means of divert­ing the con­ges­tion away from Bangkok, Pat­taya & Phuket. And of the prime attrib­ut­es of this hid­den loca­tion which makes it extreme­ly lucra­tive for prop­er­ty investors and devel­op­ers alike, is the avail­abil­i­ty of exclu­sive sea front prop­er­ties in the lap of lush green­ery and sur­round­ed by nat­ur­al cor­don of moun­tains, there­by pro­duc­ing a ready­made can­vas for pic­turesque views from every home. When the West is steadi­ly mov­ing towards becom­ing a con­crete jun­gle devoid of any nat­ur­al canopy, and pros­per­ous Thai loca­tions such as Bangkok and Phuket fol­low­ing suit fast, find­ing a get­away retreat away from the con­ges­tion traf­fic and crowds is becom­ing increas­ing­ly dif­fi­cult, even for a price. Ko Samui lies off the Gulf of Thai­land on the east coast and is a pop­u­lar tourist des­ti­na­tion for its attrac­tive loca­tions, unadul­ter­at­ed nat­ur­al veg­e­ta­tive cov­er and best of all eye water­ing beach­es with palm trees lined along the periph­ery mak­ing for aes­thet­ic view­ing in the back­drop of the crys­tal clear turquoise blue ocean water and a pleas­ant­ly invit­ing weath­er. The cli­mate needs a com­mend­able men­tion for its abil­i­ty to remain inevitably con­ducive like an ever con­spir­ing accom­plice, for ini­ti­at­ing cel­e­bra­tions or relax­ing right from the break of dawn. With just one month of heavy rain annu­al­ly, Ko Samui promis­es eleven months of unend­ing fun and frol­ic for patrons and vis­i­tors alike mak­ing it the new cho­sen des­ti­na­tion for tourists and expats. If this fuels your inter­est and curios­i­ty to invest in a prop­er­ty in Ko Samui the best way to approach the desire is through a real estate prop­er­ty agency based in Ko Samui. A pro­fes­sion­al real estate agency already has all the nec­es­sary pre­lim­i­nary for­mal­i­ties arranged and pre­pared in the form of a tem­plate to facil­i­tate the bid on an expe­dit­ed time frame. 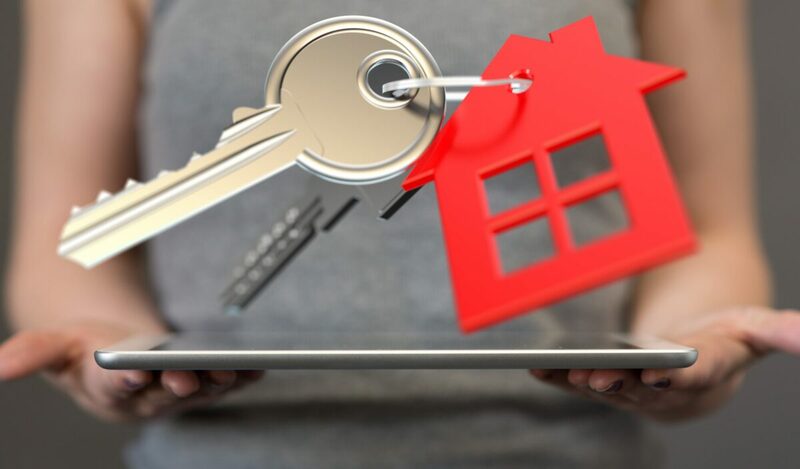 With estab­lished con­nects in the gov­ern­ment and in the nec­es­sary diplo­mat­ic quar­ters, a pro­fes­sion­al real estate agency is crit­i­cal to elim­i­nat­ing any incu­ba­tion peri­od before a for­eign investor can claim own­er­ship over any prop­er­ty in Ko Samui. Our strong pres­ence in the Thai real estate sec­tor enabled by our diplo­mat­ic ties con­nects the gov­ern­ment rela­tions suit­ably to lever­age our pres­ence as a notable and reli­able play­er in the real estate mar­ket. This is addi­tion­al­ly sup­ple­ment­ed by our strong and active dig­i­tal pres­ence which makes it eas­i­er to ver­i­fy our author­i­ty and estab­lish rela­tion­ships to ini­ti­ate the paper­work for the prop­er­ty invest­ment much ahead of the investor’s phys­i­cal arrival in Ko Samui, there­by max­i­miz­ing returns of the invest­ment from every angle. Ko Samui is lit­er­al­ly the lat­est trea­sure chest of untam­pered nat­ur­al beau­ties and delights to be unearthed in Thai­land after the pri­or prospects Bangkok, Phuket & Pat­taya are approach­ing inevitable sat­u­ra­tion com­pli­ment­ed by surg­ing prices in real estate. So for those from the West look­ing to unwind in the lap of sun­shine, beach­es and trop­i­cal delights while steer­ing clear from the noise, con­ges­tion and crowds, Ko Samui looks the bets prob­a­ble match. How­ev­er, all is not well on the shores of Ko Samui. Even before it had arisen out of its shell to embrace its bright future with baby steps, trop­i­cal storm Pabuk unleashed its wrath lash­ing absolute may­hem as it passed through the Gulf of Thai­land. When the ill fat­ed trop­i­cal storm Pabuk arrived final­ly as it coursed through the Gulf of Thai­land on, there was much ado for noth­ing as it passed by the neigh­bour­ing islands of Ko Phangan and Ko Samui with­out impact­ing any major dam­age. The storm which was expect­ed to be equipped with the poten­tial to com­plete­ly wipe out the Thai islands into extinc­tion was seem­ing­ly quite harm­less than was pre­dict­ed as it left most of the ter­ri­to­ries it passed by unscathed and final­ly dis­si­pat­ing when it con­front­ed the main­land strip. 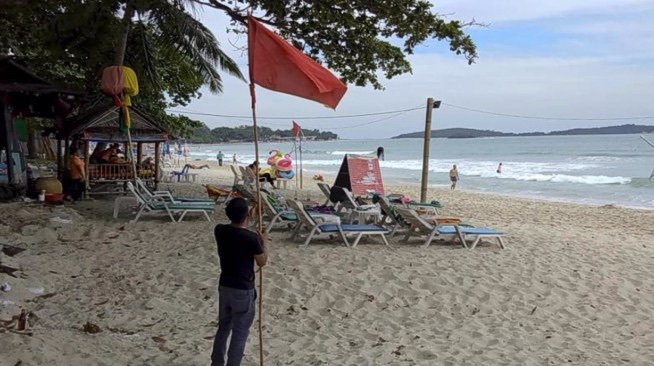 Fer­ry boat ser­vices had remain ten­ta­tive­ly sus­pend­ed with­out fur­ther notice as the storm was fore­cast to lash out heav­i­ly across the coast of Koh Samui and extend onto the Andaman Coast as well with its impact. How­ev­er the fer­ry ser­vices from Suratthani to Samui were launched back in oper­a­tion short­ly after a two-day stop­gap as a pre­cau­tion­ary method against the storm. The Ko Samui air­port which was also shut­down pre­ma­ture­ly as a safe­ty pre­cau­tion resumed ser­vices after a brief lock down for two days. 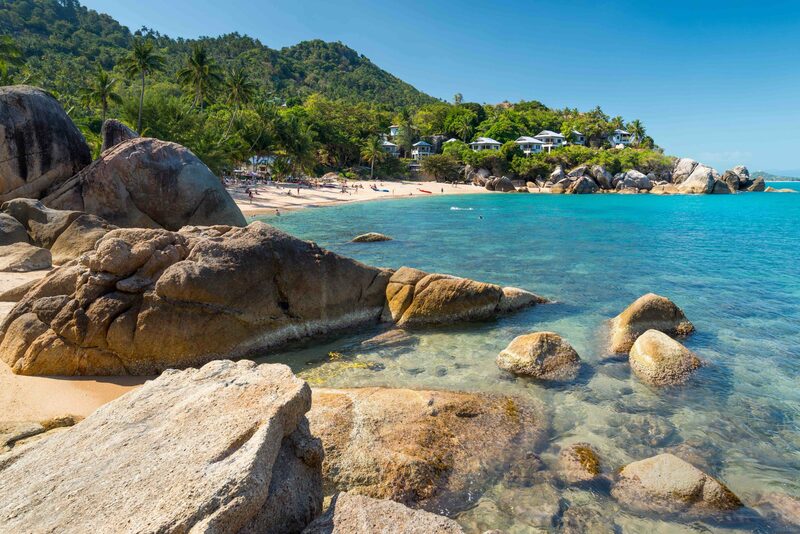 Hav­ing said that, the weath­er reports have clear­ly stat­ed that the coast of Ko Samui would be recip­i­ent of errat­ic show­ers and inclement weath­er as a corol­lary of the low pres­sure pock­et cre­at­ed by trop­i­cal storm Pabuk. As a result, beach author­i­ties have pro­hib­it­ed swim­ming and the beach too has been kept out of bounds for tourists and locals as a safe­ty mea­sure. This seems to be gravest impact in the after­math of the Pabuk which turned out to be quite a damp squid for the entire furore that it cre­at­ed pri­or to its arrival. Tourists who had booked into the island resort dur­ing this peri­od are lit­er­al­ly on house arrest con­fined to their hotel rooms for their own safe­ty con­cerns. Hotels and busi­ness­es on the Koh Samui islands how­ev­er began clean­ing up behind the storm soon after its depar­ture was announced with no reports of any major dam­age from the tremen­dous force of winds and rain. All prop­er­ty own­ers and hos­pi­tal­i­ty fran­chis­es have admit­ted to min­i­mal or no dam­age to their prop­er­ty or assets with the major prob­lem being report­ed as incon­ve­nience caused to patrons and tourists stuck on the island dur­ing this peri­od. Most locals played down the impact of Pabuk and in gen­er­al any thun­der storms as they are not a new phe­nom­e­non for them. How­ev­er, it was report­ed that some very large waves brought in a lot of debris as the resid­ual spoils of the nat­ur­al calami­ty. Pat­taya City panora­ma View of build­ing city sky­line Day­time. Bangkok is under­go­ing a real estate explo­sion even as we speak with all the for­eign investors it is attract­ing with its lux­u­ry prop­er­ties mush­room­ing over the land­scape of the city, slow­ly and steadi­ly. This promis­ing gra­di­ent is a very pos­i­tive take­away for the real estate indus­try in Thai­land and can sure­ly pave the way for oth­er loca­tions in Thai­land to fol­low suit. With pre­mi­um lux­u­ry upscale devel­oped prop­er­ty rates in Bangkok rang­ing any­where between 6500 USD to 10,000 USD per square unit, the occu­pan­cy rate for last year for 120,000 devel­oped projects was 80%. Although Thai law is very strict and has absolute­ly no pro­vi­sion for facil­i­tat­ing for­eign­ers to own land in Thai­land but there is an exempt on for­eign nation­als own­ing devel­oped prop­er­ties. How­ev­er, these fac­tors don’t seem to be deter­rents for the pletho­ra of for­eign­ers lit­er­al­ly queu­ing up to invest in prop­er­ty in prime loca­tions such as beach­front vil­las or super lux­u­ry con­do­mini­um hous­es. As a result, the prop­er­ty val­ues in Bangkok have an assured appre­ci­a­tion of at least 10% every pass­ing year and new prop­er­ties devel­oped have increas­ing prices that are almost hit­ting the sky. The gov­ern­ment of Thai­land impressed by the ris­ing inter­est and invest­ment from for­eign shores in Bangkok prop­er­ties has giv­en the approvals to lay sim­i­lar plans of mod­ern­iza­tion and real estate devel­op­ment in Pat­taya with a view to repli­cate the same suc­cess and devel­op oth­er loca­tions in Thai­land as prospec­tive and lucra­tive loca­tions for attract­ing for­eign invest­ment. With the same inten­tion, Pat­taya and the East­ern Eco­nom­ic Cor­ri­dor (EEC) have been grant­ed with the approval to devel­op 168 infra­struc­ture projects from 2018 to 2022 and beyond. The Pat­taya Eco­nom­ic Cor­ri­dor has been seg­re­gat­ed into three phas­es for con­ve­nience and sim­plic­i­ty. The above list­ed ameni­ties are expect­ed to be fin­ished over a span of two years and will be ready for use and imple­men­ta­tion before the real estate projects are ready for pos­ses­sion. Projects are expect­ed to be com­plet­ed in a short-term. These projects have an accu­mu­lat­ed bud­get of 9.2 Bil­lion USD. Phase 2 of the EEC projects is slat­ed to com­mence in 2019 with a pro­posed com­ple­tion date by 2021. Phase 2 incor­po­rates Inter­me­di­ate Projects. The pro­posed cost of the inter­me­di­ate projects is quot­ed to be around 13 Bil­lion USD. The last invest­ment phase of the EEC will be the long-term projects which shall sub­se­quent­ly begin in 2022 and stretch on indef­i­nite­ly. The worth of the long-term projects is esti­mat­ed of 252.88 Bil­lion THB (7.9 Bil­lion USD). The com­bined cost of invest­ment in devel­op­ing the East­ern Eco­nom­ic Cor­ri­dor (EEC) for res­i­den­tial occu­pan­cy and lux­u­ry stan­dard of liv­ing is almost to the tune of 31 Bil­lion USD fund­ed by the Thai state trea­sury and the Roy­al Thai army par­tial­ly. It is high­ly rec­om­mend­ed for those for­eign nation­als who are inter­est­ed in pur­chas­ing lux­u­ry prop­er­ty in Thai­land that they con­sult our real estate agency for our expert’s opin­ion and assis­tance in enabling their pos­ses­sion for own­er­ship seam­less­ly. 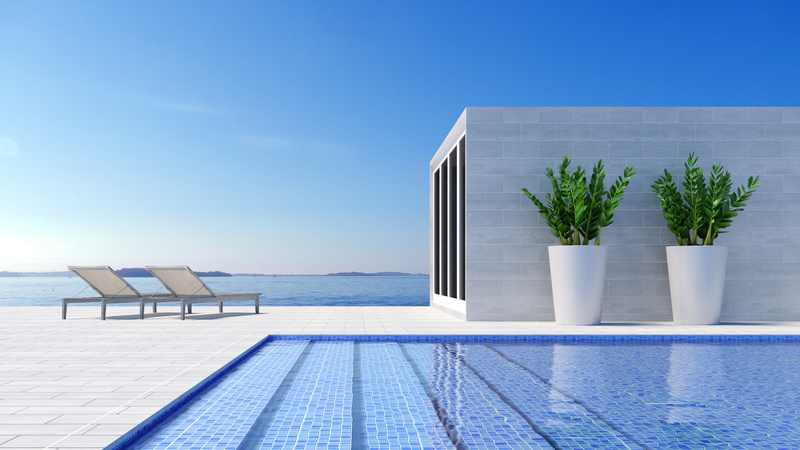 With Bangkok fast reach­ing sat­u­ra­tion and prop­er­ty prices soar­ing to the heav­ens, your dream home in Thai­land or a beach­front vil­la can be real­ized in Pat­taya. Vis­it our web­site Thai­land Doc­tor Prop­er­ty today or write to us to begin the pro­cess­ing today itself and jump ahead of the queue. Bangkok is one city that has grown by leaps and bounds and it still con­tin­ues to pros­per and grow in var­i­ous indus­try seg­ments. With the high rise and surge in the econ­o­my of Thai­land through its var­i­ous for­eign invest­ment scheme, one par­tic­u­lar cat­e­go­ry which is on an expo­nen­tial growth mode, and con­tin­ues to attract and lure for­eign investors, whether wealthy indi­vid­u­als or cor­po­rates and multi­na­tion­als alike, is the real estate sec­tor. While it is sur­pris­ing that real estate con­tin­ues to be the most lucra­tive and attrac­tive scheme of invest­ment for for­eign nation­als although land-own­ing and pur­chase by for­eign­ers is pro­hib­it­ed in Thai law. So the move­ment and trac­tion the real estate in Bangkok is receiv­ing from for­eign investors is all in the direc­tion of lux­u­ry prop­er­ties and devel­oped pre­mi­um prop­er­ties while land own­er­ship is com­plete­ly retained by Thai nation­als. The mas­sive spurt in inter­est shown in lux­u­ry prop­er­ties by for­eign­ers has more to it than is evi­dent on the sur­face. The lux­u­ry prop­er­ties usu­al­ly are devel­oped projects such as con­do­mini­um hous­es or lux­u­ry vil­las which are priced not by the preva­lent rate per unit but rather by the nature of ameni­ties avail­able, loca­tion and the pre­mi­um val­ue of the prop­er­ty. How­ev­er such incre­men­tal pric­ing does not serve even as a mild deter­rent for those inter­est­ed and over the peri­od of the last two decades Bangkok real estate has seen a major influx of for­eign mon­ey from wealthy nation­als belong­ing to USA, Chi­na, Hong Kong and Euro­pean coun­tries. 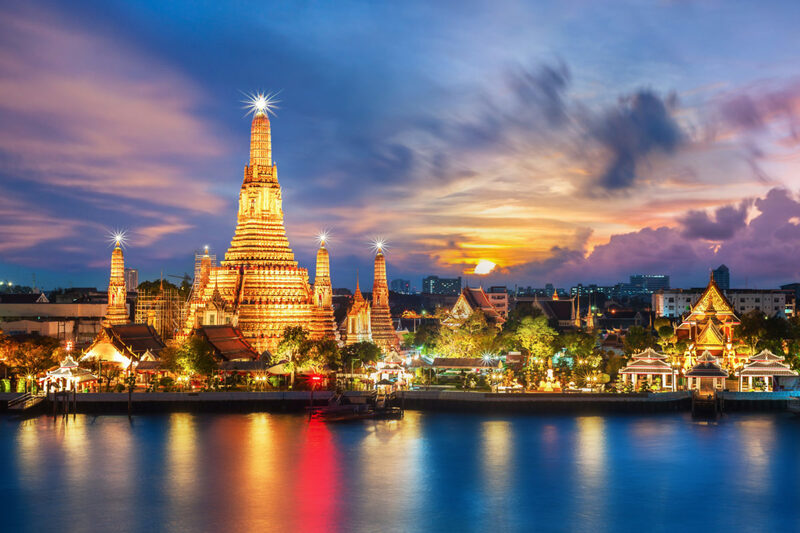 Research and fur­ther intro­spec­tion sug­gest that more than a prof­itable invest­ment, these recent devel­op­ments reveal a pat­tern or trend where for­eign­ers believe it uplifts their social stature to own a house in Bangkok. And why not, with such ami­ca­ble locals and the most scenic of locales avail­able for prime lux­u­ry prop­er­ties, any­one is bound to be tempt­ed. With such fero­cious com­pe­ti­tion and like­li­ness among for­eign­ers look­ing to buy prop­er­ty in Bangkok, the lux­u­ry prop­er­ty prices have gone soar­ing to the sky. Stud­ies and sta­tis­tics reveal that of the 120,000 lux­u­ry units avail­able for occu­pan­cy in 2017 in Bangkok, approx­i­mate­ly 90,000 were occu­pied result­ing in an occu­pan­cy rate close to 80% in Bangkok for lux­u­ry prop­er­ties. How­ev­er, although the major chunk of buy­ers still remains Thai nation­als leav­ing the chunk of for­eign invest­ment to be a minor 20%. The aver­age cost per unit for lux­u­ry con­dos is around 6500 USD where­as there is almost a 20% surge when it comes to super lux­u­ry con­dos such as beach­front prop­er­ties bring the cost per unit close to 10,000 USD. Such prices are phe­nom­e­nal for real estate val­ue any­where in the world and present a stark con­trast when com­pared with gen­er­al res­i­den­tial real estate prices in Bangkok. With prices promis­ing­ly on the surge over the last decade, the trend can be expect­ed going for­ward too and the val­ues of any invest­ed lux­u­ry prop­er­ty can eas­i­ly be expect­ed to be appre­ci­at­ed by at least 10%. The cur­rent pletho­ra of lux­u­ry real estate projects mush­room­ing all over Bangkok are only tes­ti­mo­ny to the same. Hence it is strong­ly advised for those for­eign nation­als that are inter­est­ed in buy­ing lux­u­ry con­dos in Bangkok or are inter­est­ed in invest­ing in pre­mi­um real estate prop­er­ties in prime loca­tions in Bangkok that you con­sult our team of expert real estate pro­fes­sion­als in order to expe­dite and abet your sit­u­a­tion to your best inter­ests. Our real estate agents at Doc­tor Prop­er­ty bring a vast depth of knowl­edge and expe­ri­ence regard­ing the nit­ty-grit­ty of legal­i­ties regard­ing lux­u­ry real estate prop­er­ty pur­chase and can assist your cause to a favor­able clo­sure with much ease. How to Buy Property in Gorgeous & Pristine Koh Samui? Koh Samui, a dense for­est island of lush green­ery and sur­round­ed by moun­tains all over is Thailand’s sec­ond largest island. It lies off the Gulf of Thai­land on the east coast and is a pop­u­lar tourist des­ti­na­tion for its attrac­tive loca­tions, eye water­ing beach­es and its cos­mopoli­tan appeal act­ing like the melt­ing pot for so many dif­fer­ent cul­tures resid­ing there. With palm lined beach­es act­ing as the back­drop for crys­tal clear turquoise blue ocean water and a seduc­tive­ly invit­ing weath­er, the cli­mate remains a heady accom­plice and flat­ter­ing com­pli­ment to the views that Koh Samui offers. With just one month of heavy rain annu­al­ly, tourists and locals are flock­ing to this pic­turesque island through­out the year to enjoy their moments of bliss and relax­ation in the seclu­sion of their com­plete pri­va­cy. Many con­do­mini­ums and vil­las have sprung up on prime ocean fac­ing prop­er­ties for vaca­tion rentals to tourists and with the inter­est in Koh Samui on an all time high, a lot of land is being pur­chased to serve as retire­ment des­ti­na­tions for expats or as invest­ments. Although the Thai prop­er­ty pos­ses­sion and own­er­ship laws for for­eign­ers in Thai­land, or Koh Samui do help the case, this is the right time to con­tem­plate buy­ing land in Koh Samui which is grow­ing by leaps and bounds as an invest­ment cen­ter and at the same time pro­vides a peace­ful and relaxed envi­ron­ment for retire­ment homes. 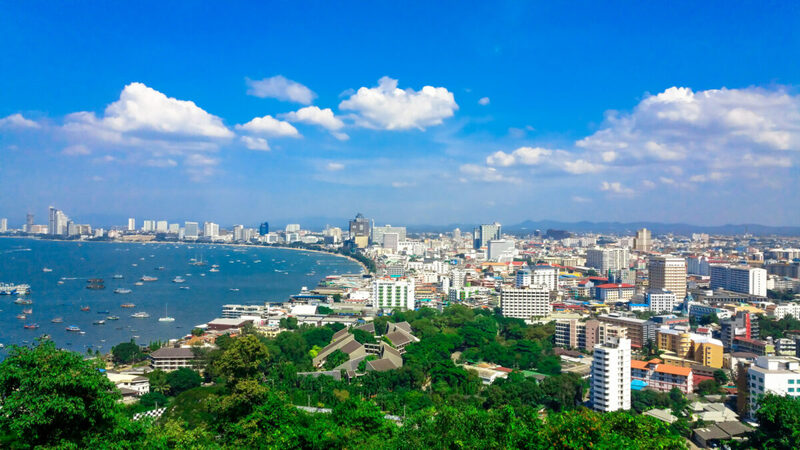 Real Estate in Thai­land is rid­ing a favourable tidal ebb and Koh Samui is no excep­tion. With the recent atten­tion on Koh Samui’s exclu­sive loca­tions and lush green moun­tain­side with a beach view, a lot of inter­est has risen in pur­chas­ing prop­er­ty or buy­ing land in Koh Samui. Although the law does not favour their case a lot of for­eign­ers have shown notice­ably ris­ing inter­ests in buy­ing prop­er­ty or pur­chas­ing land for build­ing their house in Koh Samui. Now if you’re with me till now, and chances are you are a non Thai per­son read­ing this, you must be won­der­ing how one can buy prop­er­ty like a vil­la or con­do­mini­um or pur­chase land for build­ing a house in Koh Samui if the law does not allow for the same. Hold your breath, before the thought even cross­es your mind, we are def­i­nite­ly not insin­u­at­ing pur­su­ing or opt­ing for ille­gal means. Def­i­nite­ly not! How­ev­er, like Shylock’s penal­ty for a pound of flesh in the Mer­chant of Venice was legal­ly over­ruled by abject­ing a loop­hole in the abid­ing legal­i­ties, a for­eign­er may even­tu­al­ly own land and prop­er­ty in Koh Samui in Thai­land by exploit­ing a loop­hole in the law. The loop­hole that we are dis­cussing here is known as the con­cept of free­hold and lease­hold. With the help of a reli­able and trust­ed prop­er­ty agent, a for­eign­er can, by virtue of direct invest­ments in the country’s gov­ern­ment and infra­struc­ture, or after form­ing a com­pa­ny with legit­i­mate Thai cit­i­zens, obtain actu­al own­er­ship of land for build­ing prop­er­ty. This is the con­cept of free­hold and although does achieve the end objec­tive, is a rather com­pli­cat­ed and expen­sive pro­ce­dure. How­ev­er through the pro­vi­sion of a lease­hold for a spec­i­fied amount of years one can call a prop­er­ty and the land as their own before the lease peri­od expires. With the help of a pro­fes­sion­al real estate expert one can always buy a fur­nished apart­ment or a con­do­mini­um out­right even if they are a for­eign­er because Thai law has pro­vi­sions per­mit­ting the pur­chase of fin­ished apart­ment spaces to a foreigner’s name. Hence it is always advis­able to choose a reput­ed and estab­lished real estate agency to pur­sue and ful­fil your dream of liv­ing in Koh Samui. At Doc­tor Prop­er­ty you can find the right match for your needs and choose from a wide range of selec­tions with­out need­ing to go through all the both­er and com­pli­ca­tions of know­ing the law process. You enjoy your peace of mind while the Doc­tor attends to your dream prop­er­ty in Koh Samui. It is remark­able how much Thai­land has grown in the past cou­ple of decades as a tow­er­ing econ­o­my and an invalu­able plat­form for future invest­ments. And why not? With Thailand’s inher­ent trea­sure trove of nat­ur­al won­ders and delights, mag­i­cal beach­es and for­est infest­ed moun­tain­side recent­ly pre­sent­ed to the West­ern world, it has opened up a new road to end­less pos­si­bil­i­ties. It is no won­der how apart from the cap­i­tal Bangkok; island cities have also made a gen­er­ous share of the entire mar­ket. Phuket and Pat­taya are already devel­oped mar­kets for investors in land and prop­er­ty giv­en their sin­gu­lar nat­ur­al beau­ty and relent­less coast­lines decked in crys­tal blue, as back­drop. How­ev­er the nat­ur­al back­drop of Ko Samui is still untouched and pris­tine. It is delight­ful­ly peace­ful and has a sprawl­ing nat­ur­al land­scape com­pris­ing of beach­es sur­round­ed by for­est infest­ed moun­tains. With Koh Samui still in its grow­ing phas­es and its spec­tac­u­lar nat­ur­al back­drop sec­ond to none, it makes sense to invest in land and prop­er­ty in Koh Samui if not build your retire­ment home here. After all, any­one who has vis­it­ed Koh Samui once will not beg to dif­fer at all. Koh Samui Condos Villas and Houses, Why Buy Land? Koh Samui is poised to fol­low the lines of Phuket and grow as the country’s next boom­ing beach resort des­ti­na­tion. While it is still in the emerg­ing stages, it makes sense for those who wish to buy a home in bliss­ful Koh Samui to spend their life in, to start scout­ing as ear­ly as pos­si­ble. How­ev­er there are rea­sons why it makes sense for some­one wish­ing to have their home in Koh Samui to go for con­do­mini­ums and vil­las rather than pur­chas­ing land for own­er­ship. The Thai law is a tricky one with regards to own­er­ship in the coun­try for for­eign nation­als. As a result some of fre­quent­ly adopt­ed legal bypass­es for for­eign­ers t over­rule that clause include arrang­ing mar­riage with a Thai nation­al, or the even more com­pli­cat­ed process of start­ing a com­pa­ny in Thai­land with part­ners who are Thai nation­als and in the process pur­chas­ing land for own­er­ship. How­ev­er not only is the lat­ter far more expen­sive and time con­sum­ing, but also has a larg­er num­ber of vari­ables in the larg­er pic­ture. That apart, for­eign­er can also lease homes for a spec­i­fied peri­od of time dur­ing which they can accord them­selves with the title of own­er of the land and prop­er­ty. Once the lease peri­od expires it may be sub­ject to renew­al on agree­ment of terms and con­di­tions of involved par­ties or it may be deemed effec­tive fol­low­ing fur­ther own­er­ship ceas­es to exist any­more. With the above men­tioned pro­ce­dures and sce­nar­ios preva­lent for for­eign­ers wish­ing to have their homes in pic­turesque Koh Samui, it makes sense to have a reput­ed and trust­ed prop­er­ty agency with estab­lished tes­ti­mo­ni­als and pri­or expe­ri­ence to assist and advise in procur­ing fin­ished con­dos and vil­las in Koh Samui. It is not only ful­ly legal but an absolute­ly sim­ple process with­out any addi­tion­al has­sles for for­eign­ers to own apart­ments or hous­es in Thai­land and pur­chas­ing a house in Ko Samui is a very healthy an insight­ful invest­ment as well. And Doc­tor Prop­er­ty offers you the widest range of pre­scrip­tion solu­tions for your exclu­sive real estate require­ment in con­dos, vil­las and hous­es in delight­ful Koh Samui. What’s the total value of the world’s real estate market? Have you won­dered what the total mar­ket val­ue of all of the world’s real estate is? Is such a num­ber even ascer­tain­able, and if so can you imag­ine what it is? This is exact­ly what Sav­ills, an elite Eng­lish real estate com­pa­ny, set out to accom­plish and found they some inter­est­ing things. In 2016, they esti­mate that total prop­er­ty val­ue world­wide was $ 217 tril­lion. In the fol­low­ing year, 2017, this val­ue rose to $ 228 tril­lion. That’s an increase of 5%. The study also revealed a very inter­est­ing trend. Real estate is the most valu­able asset in the world by far. Equi­ties, bonds and pre­cious met­als are all way behind real estate in total mar­ket cap. For exam­ple, the val­ue of all the gold that has ever been mined in the world, ever, is only $ 6.5 tril­lion! The dia­gram shows the val­ue dis­tri­b­u­tion of the world’s assets in 2017. Fig­ures are in tril­lions of US dol­lars. In this study, res­i­den­tial real estate is val­ued at $ 168.5 tril­lion. If you count the exist­ing total of 2.05 bil­lion house­holds world­wide, that’s an aver­age of $ 82,000 per res­i­den­tial prop­er­ty. Of course, this val­ue is deci­sive­ly influ­enced by the expen­sive indus­tri­al­ized coun­tries like North Amer­i­ca, Europe and parts of Asia. North Amer­i­cans are just 7% of the world’s pop­u­la­tion, but they own 22% of the total val­ue of res­i­den­tial real estate in the world. Europe’s inhab­i­tants occu­py 11% of the world’s pop­u­la­tion. But the home own­er­ship is 23% of val­ue world­wide. Of course, these val­ues from indus­tri­al­ized coun­tries also gen­er­ate enor­mous poten­tial in devel­op­ing coun­tries. For exam­ple, in Africa, 19% of the world’s pop­u­la­tion is liv­ing, but hous­ing is only 6%. It is esti­mat­ed that 34% of all res­i­den­tial real estate world­wide invest in invest­ments and make the hous­ing mar­ket avail­able. The rest is val­ued pri­vate­ly for pri­vate use. With com­mer­cial real estate it looks already dif­fer­ent. Here, about 33% is self-employed and 67% go to the com­mer­cial sec­tor. In this busi­ness sec­tor, there was also the largest increase in real estate assets. Over­all, this was 7 per­cent com­pared to the pre­vi­ous year and is nom­i­nal­ly worth $ 32.3 tril­lion. The real estate mar­ket world­wide expects such an inves­ti­ga­tion of immense impor­tance. Not only that he is from year to year, that he also adds val­ue. Also, with regard to the tem­po­ral inter­est costs, an invest­ment in real estate becomes rel­a­tive­ly alter­na­tive. The Styr­i­an real estate prices and the ever increas­ing total pop­u­la­tions make a prop­er­ty more and more inter­est­ing for investors. We at Doc­tor Prop­er­ty are very curi­ous how the num­bers will evolve in the com­ing years. Of course we keep you up to date. Take anoth­er look at the blog of Doc­tor Prop­er­ty. We look for­ward to you. Welcome to our new Doctor Property Blog! The Doc­tor Prop­er­ty Team hopes you enjoy our new blog! We aim to keep you up to date with all the impor­tant real estate mat­ters in both Samui and Thai­land as a whole. All the impor­tant infor­ma­tion about real estate, vil­las, hous­es, apart­ments and land will be pub­lished here soon. If you have ques­tions or sug­ges­tions for improve­ment, then please con­tact us. We are look­ing for­ward to your feed­back.